If you’re unfortunate enough to find yourself locked out of your property, simply make the call to FC Locksmith. Whether you’re locked out of your home, place of work, or vehicle – our professional team of technicians can help you regain access. In most cases, access can be regained with minimal fuss and damage. Our team is well-trained in lock-picking and have years of experiencing in helping people back in. We specialize in lock and door installation for both residential and commercial properties. Whether you require a new door lock or a new door itself, we can provide a skilled technician to complete the job quickly and tidily. This includes the fitting of French doors, patio doors, and garage doors. 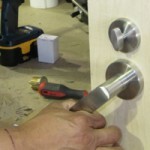 We can also repair or replace any damaged, faulty, or unwanted locks and doors. FC Locksmith is proud to contribute to the safety of Markham citizens. We are able to provide residents, business owners, and drivers alike with the best in security advice. We can undertake a security assessment and recommend the best ways to improve the safety of your property, carrying out any necessary installation, repair, or replacement along the way. 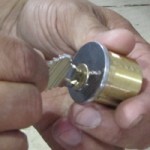 All FC Locksmith services are available on a prearranged basis. However, if you require a Markham locksmith out of hours or during an emergency, we would be happy to oblige. Simply call our telephone hotline and we will have a professional locksmith with you in a matter of minutes.